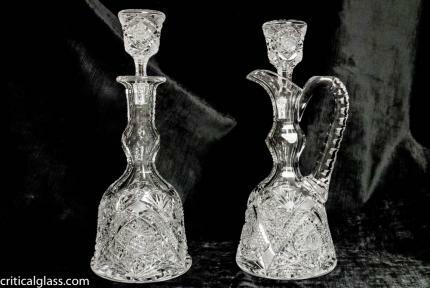 This is a fantastic pair (handled and handleless) decanters with pattern cut stoppers. 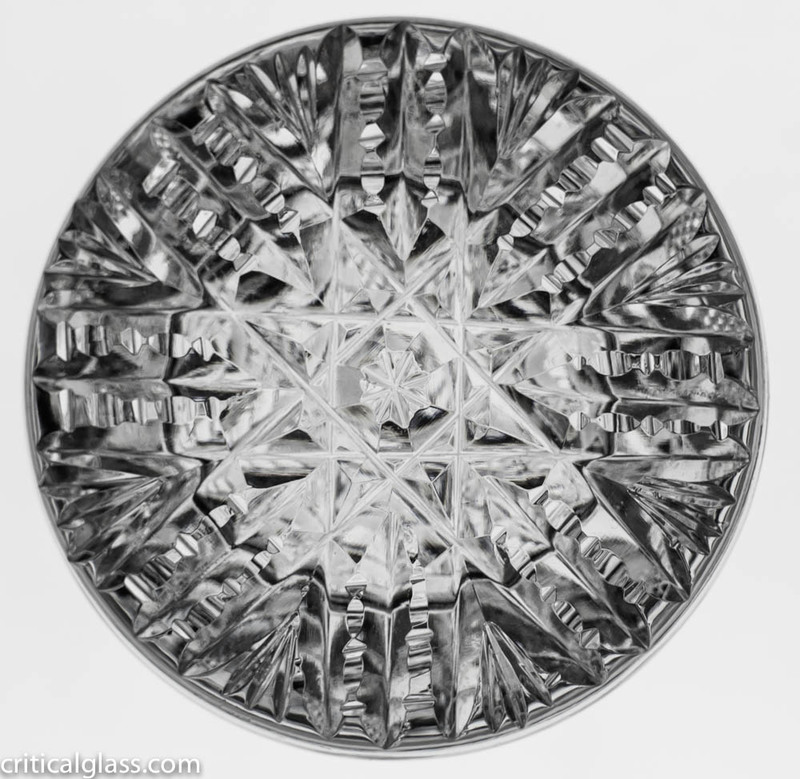 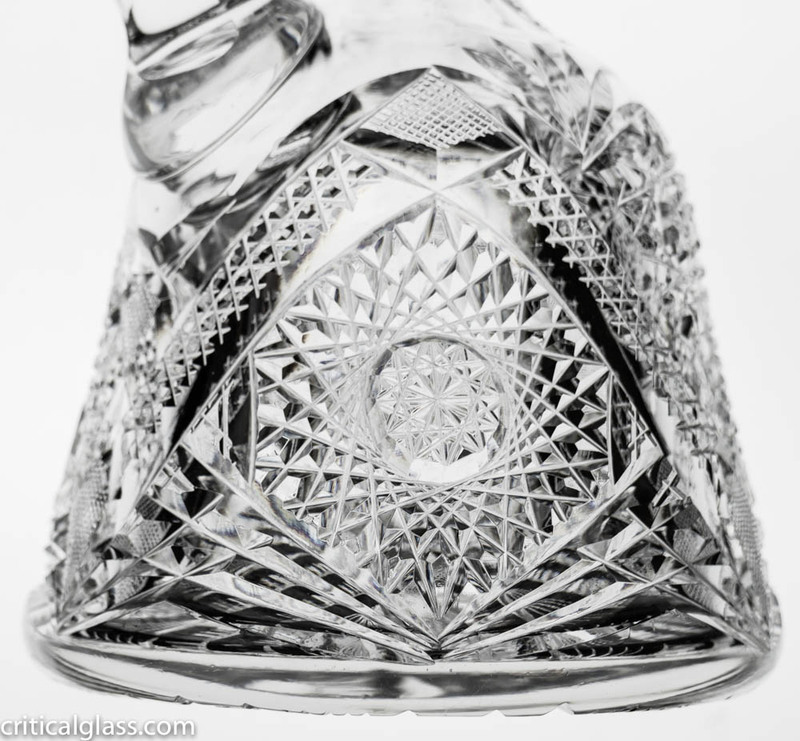 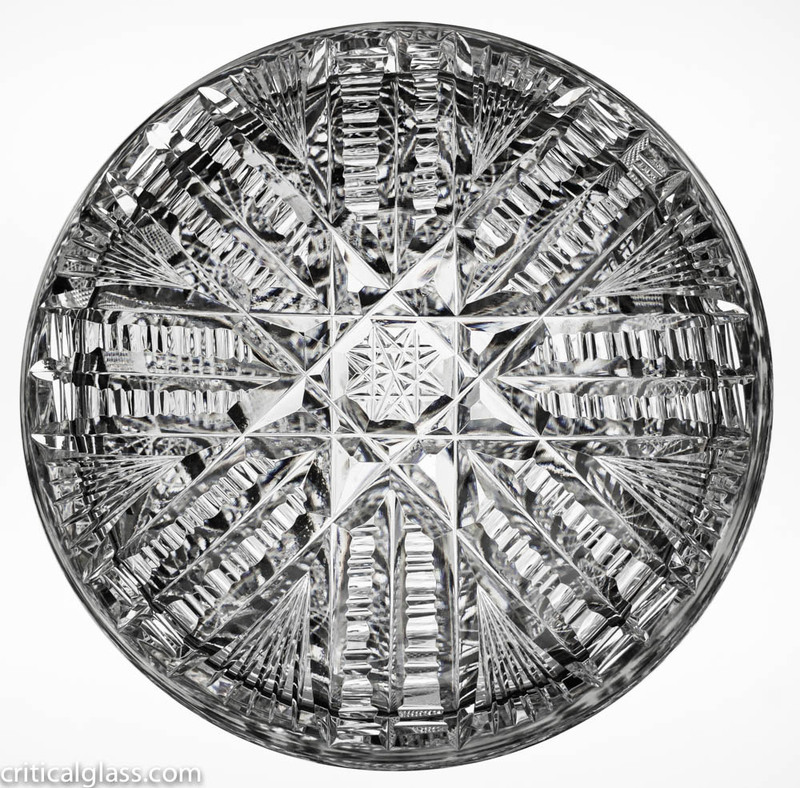 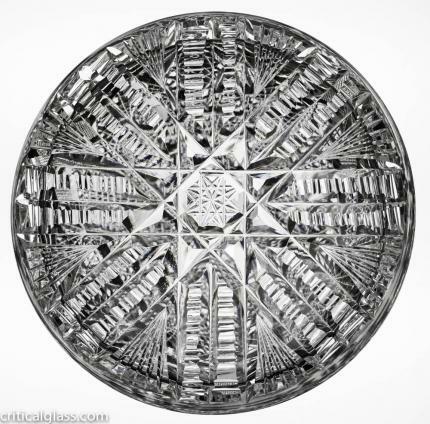 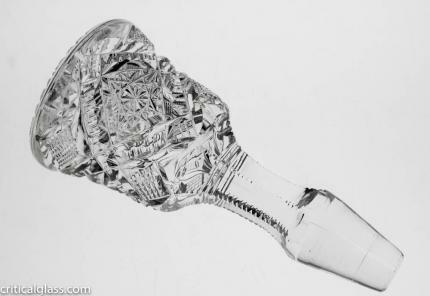 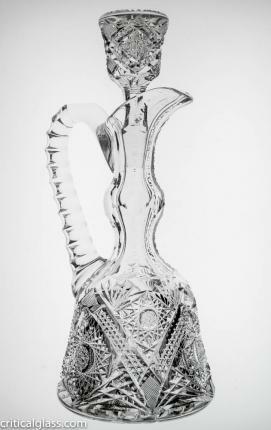 To find a decanter with a pattern cut stopper is a difficult enough task, but a pair is particularly difficult to acquire. I particularly love how the stoppers mimic the shape of the body of the decanter. 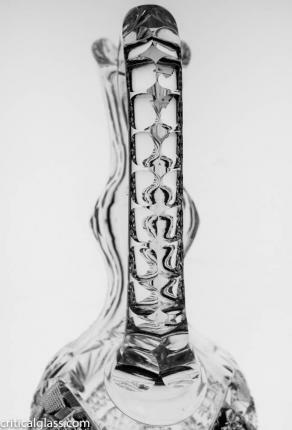 The pattern is reminiscent of Blackmer’s work. The design on teh decanters features bands of hobnail framing deeply cut hobstars and meeting at fields of crosshatching. The base and tops of the stoppers are cut with an incredible notched/cross design. 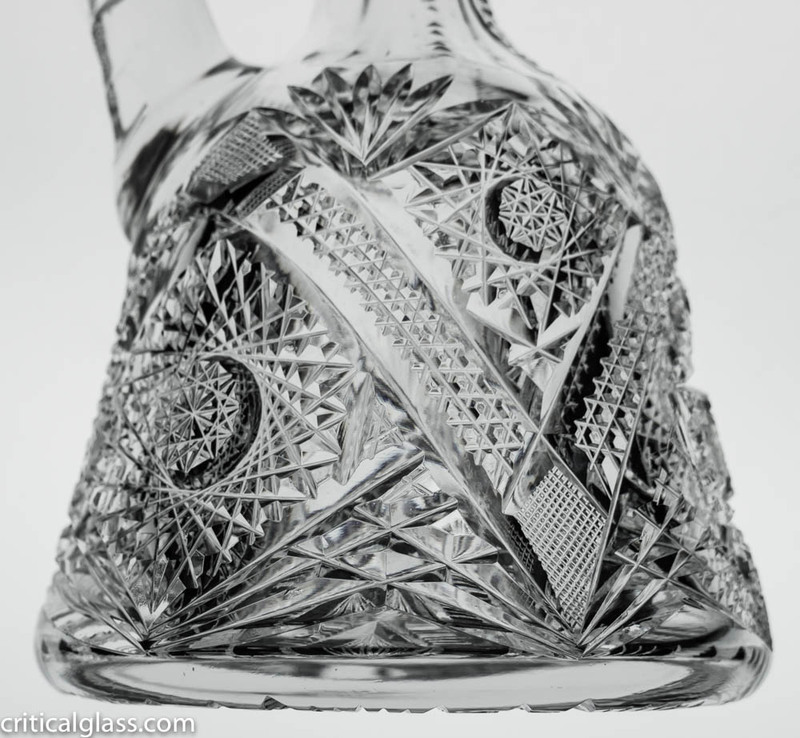 Again, you can see how the stoppers mimic the decanters entirely – the bottoms of the decanters becomes the top of the stopper! The handles are double notched and each decanter has a blown gooseneck. These decanters are in perfect condition and measure 13″ tall.